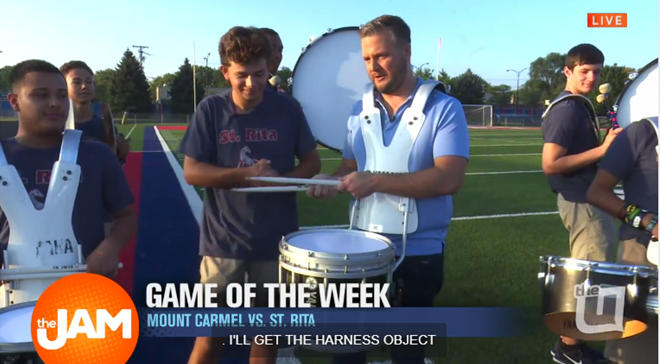 St. Rita High School was featured today on WCIU, The U’s morning show, The Jam. 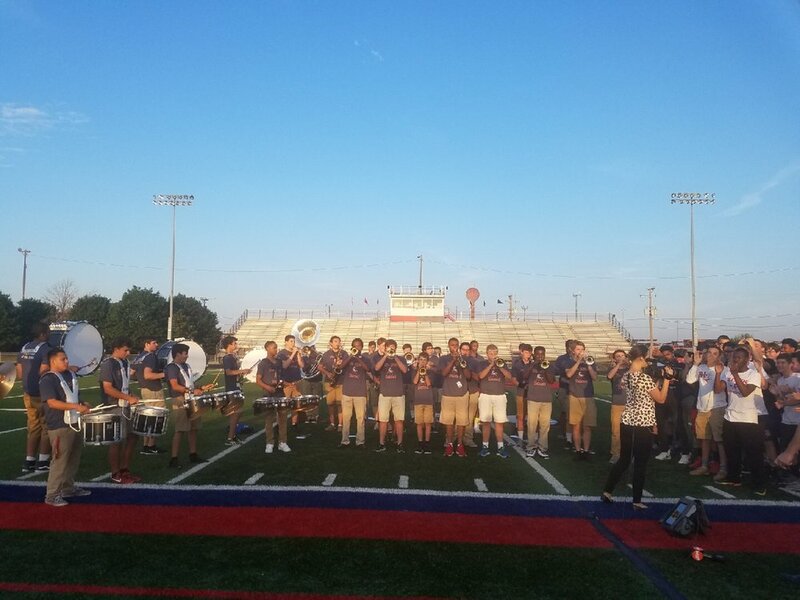 The show’s man about town, Jon Hansen spent the morning with the St. Rita Marching Band and St. Rita cheerleaders in anticipation of tonight’s WCIU, The U Game of the Week – the much anticipated St. Rita vs. Mount Carmel matchup. Check out the footage on the Jam's Facebook Page. If you can’t make it to the game, you can watch it on the U-Too! The varsity game will air on the U-Too at 7:30 pm. Viewers can find The U Too on WCIU-TV 26.2, XFINITY 230/360, RCN 35, Dish 48, AT&T U-verse 24 and WOW 107. Or, come out to the game, stay for the party and then watch the replay this weekend! All St. Rita fans, adults, and friends are encouraged and invited to attend the Oktoberfest event after the game ends. There will be great food, refreshments, and music for all! Encore broadcasts of the game can be seen Saturday at 6 PM and Sunday at 9 AM over on WMEU 48.2, Comcast 359, RCN 32 and WOW 184! Tim Maher is a self-proclaimed “dees, dems and does” kind of guy. He joked that he’s not a good speller and recently went to the library for the first time in years. However, that hasn’t stopped the 1971 St. Rita High School graduate from writing a new book about a St. Rita football team that made history in the Chicago Catholic League (CCL). Maher recently released his self-published book, “Three Yards and a Cloud of Dust,” the story of the 1970 St. Rita football team that became city champions. Maher was a senior and captain on the team that finished 9-2-1, ultimately beating Lane Tech in front of a crowd of over 65,000 at Soldier Field to win the Prep Bowl championship. Tom Schofield '15, is making his mark at Valparaiso University. He was a starter on Valparaiso football team's offensive line at right tackle and was named to the league's academic honor roll in his challenging engineering curriculum. In the attached upcoming 2016 schedule picture, Tom is #73. A former Mustang making a big impact in college right out of the gates.